Snooker coaching is an absolute must when first taking up the wonderful game of snooker on a full size table. The worst thing you want is to develop bad habits at the beginning as they become engrained and can be very hard to overcome as you get older. 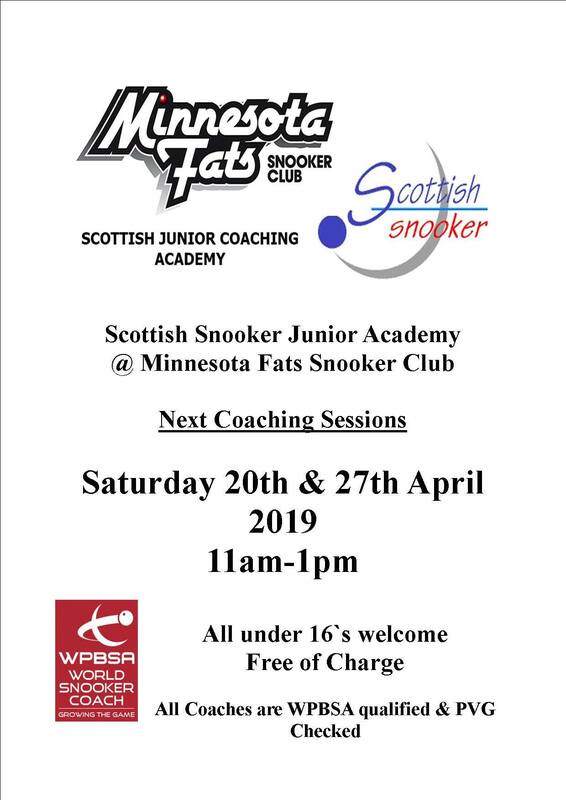 Scottish Snooker Coaching has put into place a program for under 16’s to develop sound technique from the offset which will ensure you get off on the right track in your snooker career. Sound technique is essential for success as a snooker player and is vital for consistency in your game.